We have been quite busy the last month, but especially because we have been seeking an OB/GYN to deliver our little girl in December. We had a doctor as of several weeks ago, but we found out from Becky's Hematologist that it would be best if she delivered in a hospital with an ICU. We had planned to deliver the baby in the larger city of Goiânia, a solid 45 minute drive from here. But that doctor does not deliver in hospitals with ICU's. Therefore, we had to start the doctor search all over again, with Becky well past the 30 week mark. What we found was that no doctors wanted to take on a high-risk pregnancy in the last trimester. This was really beginning to drain us emotionally, physically, and spiritually. So two weeks ago, I, Ben, stayed home from morning church specifically to spend time in the Word and pray, asking the Lord for a doctor. I said "Lord, we really need a doctor, now. You know how important this is for our little girl's delivery, for Becky, for our emotional health as a family. Please Lord, send us a doctor by tomorrow." You know how sometimes you ask the Lord for something specific by faith, and you are surprised when He actually answers so quickly that you don't realize it's His clear answer? Well, that afternoon, as we were coming home from an afternoon out as a family, we saw one of our neighbors, Maria Luisa or "Lu" as we call her, walking in the street with her granddaughter. Even though we were in a rush to get ready for church that night I felt God telling me we needed to go out and visit with her. As we were talking, her husband pulled out of the driveway, said hi really quick, and took off. Lu said he was headed to the hospital, and that he was an OB/GYN doctor who works at the local hospital that has an ICU. She asked if we had a doctor yet for our little girl's delivery, stating that her husband was an excellent doctor and well renowned. We thought nothing of it because we assumed we had to deliver in the city 45 minutes away. That night again we prayed, asking the Lord to lead us to a doctor. Monday morning I made numerous phone calls, and no doctor would take Becky as a patient for this delivery. We were stressed and very discouraged. That evening, around dinner time, I realized that the Lord had already sent us a doctor, our neighbor! I told Becky about this, and we agreed--I needed to talk to him immediately! So I finished my dinner, and as Becky was putting the boys to bed, I walked over to his house, buzzed the intercom, and he welcomed me in and asked me how he could help. I talked to him briefly about our need for a doctor, specifically one who dealt with high-risk pregnancies/deliveries. As I finished talking and caught my breath, he said to me: "Yes, I understand your situation, Rebecca needs to stay on the blood thinners due to the clots she had, I am experienced dealing with these types of deliveries. Come see me tomorrow, I am happy to take her on as a patient." That's just the way it worked out. Dr. Joaquim Goltz is our answer to prayer, your answer to prayer on our behalf. He is a calm man, experienced, probably in his late 60's, and seems to be a perfect fit for what we need right now. Pray that all goes well until delivery day, sometime the week before Christmas. The last few weeks have seen Ben quite busy at the campus property, planting, pruning, and cleaning the grounds. Sometimes in the sun, sometimes in pouring tropical rain. 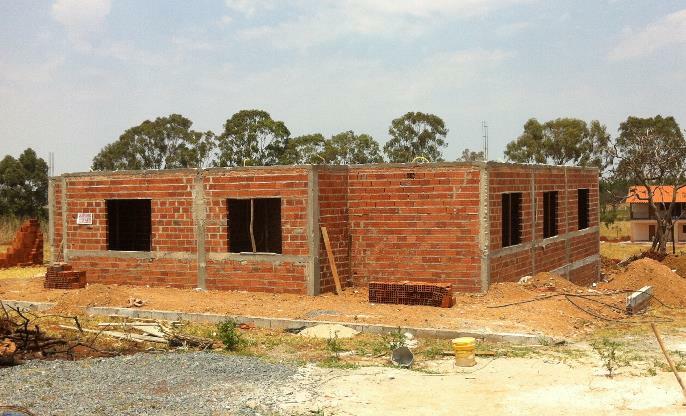 Most of the construction for Phase 1 of our campus is complete-- however, we are lacking $45,000 to finish our office/classroom building, as seen is this picture. We really need to put a roof on the building to protect it from the rains that have started. Planting will also soon come to a halt since our remaining funds have to go to finishing buildings. If you would like to invest in any of these works, please email us or call us. A large portion of the cost is the labor--so if you are skilled in any sort of trade--please consider coming to visit and serve the Lord here for a week or so. Ben has also begun interacting with other pastors of different denominations, seeing how we can serve their local church in mobilizing for missions. We want to enable them to be effective missions-minded churches, training up and sending missionaries from their own local body of believers. This week he visited an old friend who is working in Brasilia among the unchurched upper class professionals--this is an unreached group of people in their 30's and younger who will never set a foot in the "traditional church". They are the Millenials and Y generation. This friend's work in this part of Brazil is pioneer work, as our traditional churches have a hard time taking that step of faith in adapting to reach the lost. 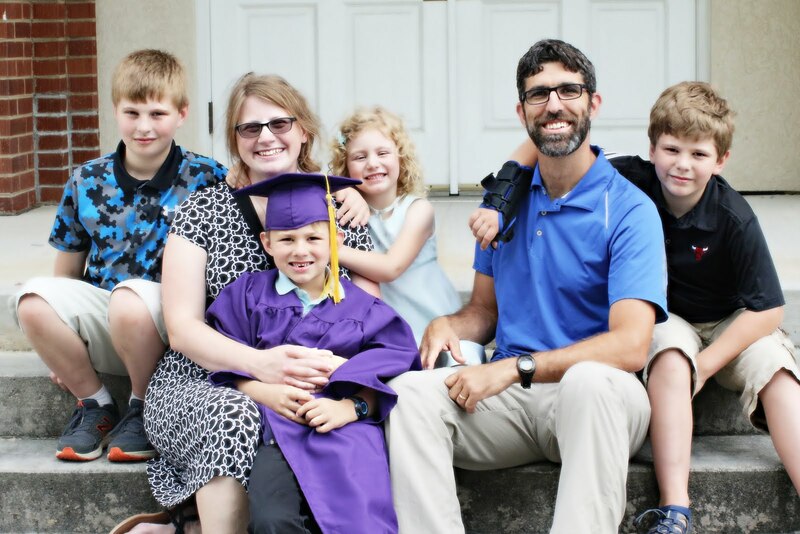 And like Paul, this pastor is a tentmaker, working full-time to support his family while he and his wife and young son invest themselves in reaching these professionals for Christ. We are encouraged to see God working through many different avenues and are excited to see how MAEB, the Brazilian mission organization, can partner with missionaries here in Brazil and those being sent overseas who see a need and want to follow God's calling. The boys continue to grow and enjoy their activities: swimming lessons, playing at the local park, riding their bikes around the block while daddy pushes David in the stroller (running to keep up with the boys on bikes!). It has been exciting for us to see all the boys, even David, loving the water! David especially loves to go under the water, coming up with a huge grin on his face! Caleb, who turned 6 in October, usually does homeschooling in the afternoon, and is flourishing--that is, when he cooperates :-). The boys are all learning more and more Portuguese and growing in their comfort responding to Brazilians. With only about 5 weeks left until our little girl is born, we are in much anticipation, and have quite a few things to get ready still. Please pray everything goes smoothly for her delivery, including Becky's health due to the use of blood-thinners and the necessity of having a C-section. We will let you know when we have a date for her delivery so you can be specifically praying all will go smoothly. Thank you for lifting up our family in prayer.